This entry was posted in Knitting and tagged adventure, art, blue, breeze, cotton, craft, crafts, knit, knitting, pattern, ravelry, sea, stripe, stripes, sweater. Hey Sweeties, long time no blog! I have not been very present on the blog in the last few weeks, and I’m sorry to admit that I don’t even have a good reason for it! It’s not like I have been outrageously busy or anything but quite frankly, I have not had much to show you lately since I have been a very, very monogamous knitter since I came back from vacation. 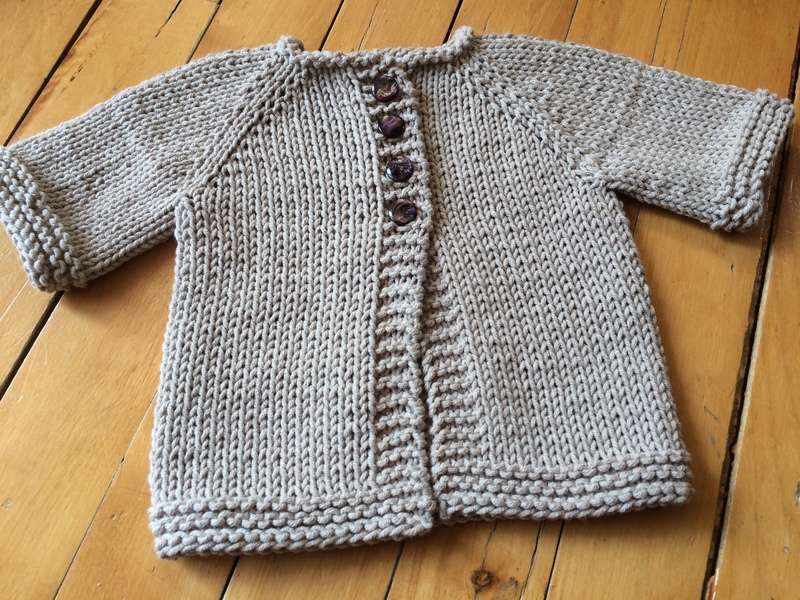 This is a little weird to me since I generally tend to work on at least 3 or 4 projects simultaneously at any given moment, but lately I started test-knitting a second version of the Stellata cardigan pattern from the lovely Anne and I have been pouring all my heart into it, since it is such a lovely, sweet and elegant design. Since I started a week late because of vacation – and because I had a little mishap on the way – I have not been able to progress as fast as I would have wanted to, but I am delighted to show you where I’m at as of today. The yarn I’m using is Elsebeth Lavold Hempathy in color peach. I am so exited about this project because when I swatched for it, I noticed the washed swatch plumped up very nicely and felt not only soft, but also supple and breezy – seeing that, I can already predict now this cardigan is going to be a favorite of mine this summer, and the next, and the next again! How about you guys? Are you monogamous or polygamous knitters? How many projects do you usually work on simultaneously? 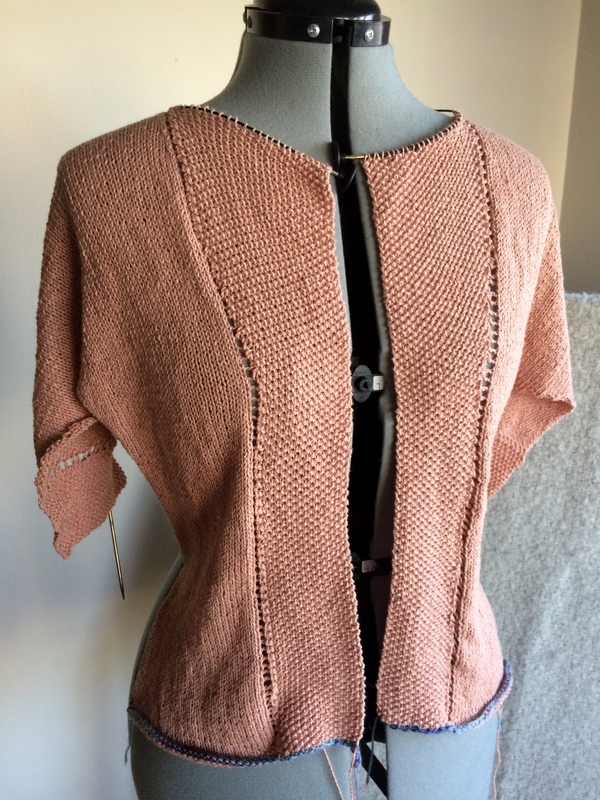 This entry was posted in Knitting and tagged cardigan, cotton, craft, hemp, knit, knitting, linen, monogamous, passion, peach, summer, sweater.